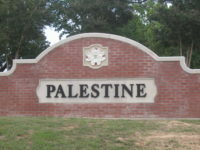 PALESTINE – Palestine is coping with severe damage around the city following Wednesday night’s storms. The Palestine water treatment plant is back online as of Friday morning after being knocked out during this week’s storms, but the boil water notice continues. Officials said residents must boil water at least three minutes before drinking it. City staff members arranged to provide drinking water at the Palestine Mall on a limited basis till 6 p.m. Friday. Officials still strongly encourage you to conserve water as much as possible — i.e., no watering yards, limited showers, etc. ALTO – A Houston firm will arrive in Alto next Tuesday to begin the process of certifying trucks and removing debris left behind by last weekend’s tornadoes. Crews expect to work seven days a week until the project is complete. TxDOT expects to remove about 45,000 cubic yards of tree debris during the cleanup effort that is anticipated to span six weeks. The contractor is scheduled to start on State Highway 21, moving eastward, removing debris from the highway right of way. A state monitor along with a TxDOT inspector will oversee the day-to-day operations. ALTO — Cleanup is still going on across East Texas after two rounds of storms. According to our news partner KETK, East Texas Senator Robert Nichols of Jacksonville paid the city of Alto a visit Thursday. He surveyed the damaged schools, gym, and grounds. According to the district superintendent, preliminary estimates show the cost to rebuild damaged structures to be more than $12 million. Nichols says he and state Representatives Travis Clardy and Trent Ashby signed a letter asking the governor’s office for funding to clean up. Nichols also said Governor Abbott was already working in that direction. 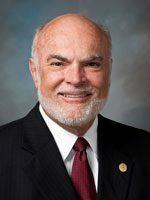 The senator added that one of the biggest needs he saw was for portable buildings for classrooms this fall. Meanwhile, the school district plans to reopen one building Monday to get the students through the last five weeks of the school year. 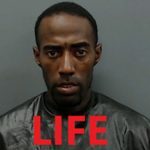 LONGVIEW – It is a long prison sentence for a Longview man. A Longview jury on Thursday found Michael Fred Houston, 38, guilty of aggravated robbery. Due to two prior felony convictions, and other acts against elderly persons, the jury sentenced him to life in prison. In early May of last year, police were called to the Dollar General on Judson Road for a robbery in the parking lot. An elderly woman told officers a man opened the passenger door of her car, grabbed her purse, which had her cell phone, and then fled. Houston will have to serve 30 years before becoming eligible for parole. 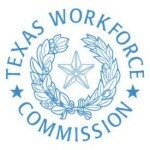 AUSTIN – Unemployment in Tyler and Longview continues to run low. 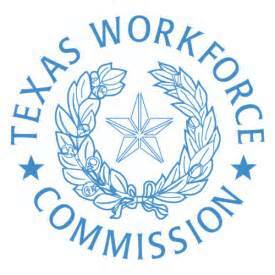 The Texas Workforce commission reports Tyler’s unemployment figure in March was 3.4%. That is down from the 3.7% figure in February. In March of last year, it was also 3.7% Longview’s March unemployment was 3.4%. It was 4.1% in February and 4.3% in March of last year. The Texas unemployment figure for March was unchanged, a 3.8%. AUSTIN (AP) – Energy officials say Austin has bought a wood chip-fueled biomass power plant in East Texas for $460 million to break away from a punitive contract. 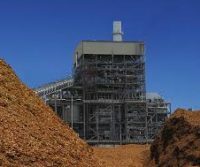 Southern Company accepted Austin Energy’s bid for the Nacogdoches Generating Facility, a wood chip-fueled biomass power plant. The 115-megawatt plant, one of the largest biomass power plants in the United States, rarely operates because it is too expensive to run. Austin Energy is also acquiring the plant’s holding company. The Austin American-Statesmen reports that Austin Energy General Manager Jackie Sargent says the city is now off the hook for escalating annual payments under a 20-year, $2.3 billion agreement slated to run through 2032. 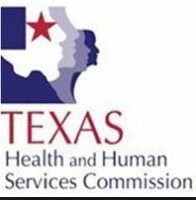 AUSTIN – The state has recognized outstanding volunteers at state hospitals and state supported living centers. Two of those awards came to East Texas groups. The Spirit of Youth Award went to Rusk High School. The students were recognized for their work individually and through several student groups in service to the patients of Rusk State Hospital. The Volunteer/Advocate of the Year Award went to the Volunteer Council for Rusk State Hospital. The group is a 15 member nonprofit service organization.